As soon as SnakeByte got home, he dumped his bag and went upstairs. The master bedroom of his flat had been converted into his office. It was split into three sections, the first was his "dirty" setup. This machine was connected to a modem and could be used to access database's and various boards around the world. It was never used to hold any of SnakeByte's games or source code, so if it was hacked he would lose nothing of importance. He booted the dirty machine up before inserting the disk and running every virus scanner he had on it. It was clean. A little more calm, he opened the disk to view it's contents. A single binary file. Strange. 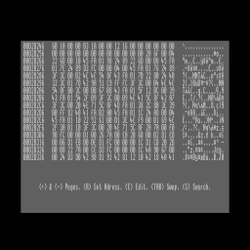 Quickly he booted up a hex editor and looked at the contents of the file. After a small header, the data looked random. A quick look in a couple of disassemblers and SnakeByte was sure. Fine, here we go then. At the other end of the room was his real computer. Known as the beast, it was a Beowulf cluster of 32 PC's running his own operating system loosely based on Unix. It had taken him years to put together, scrimping and saving to purchase parts. The operating system itself had to be coded entirely in assembler. High level languages were only just starting to be available and the one's he had looked at were far too inefficient for this sort of work. The network cards were the fastest available, and he had taken a lot of time making sure the cables are all shielded against EMF signals. Just to be sure, the walls and ceiling of the room had chicken wire in the plaster, and there was more under the carpet. The whole lot soldered together to form a Faraday cage. He flicked a switch and the beast started to come to life. He had used pneumatic relays to stagger the power up of all the machines. Power lights flicked on one by one in a carefully designed sequence. It took quite a while to boot up, so SnakeByte trotted downstairs to get a drink. Coffee was for the day time, at night you could only drink one of two things. Beer for recreation, Jolt Cola for work. 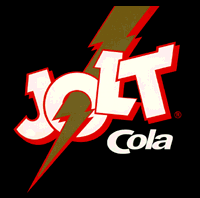 Jolt Cola was awesome, caffeine and sugar in massive amounts in a simple delivery system. SnakeByte bought it by the case. Back to work. Now the beast was powered up, SnakeByte started up a special decryption program he was continually working on. Each node of the cluster could be tasked to try and use a different algorithm to decrypt a message. As they worked they could be fed cribs and they constantly reported confidence values. A master node monitored all the other nodes and could reallocate nodes at any moment. The beast was running a standard set of tests at the moment confidences were low across the board, so SnakeByte created a text file to use as a crib feed. Reasoning that the file was a message to him, he added on word to the crib file. SnakeByte. As soon as he fed this crib to the beast, confidences jumped on one node. A few key taps revealed that node was running against 56 bit DES. Well he was supposed to be able to decode it. A few more taps and all the nodes were now working as a single super node concentrating on DES. The confidence factors began to rise. Okay time for a break, SnakeByte went downstairs and watched a little TV. Nothing much on but it passed the time. Eventually, bored with Cheers, he fell asleep. Hours later he was woken by the beast's alarm. The message was decrypted.